Twin Peaks. For popular culture fiends its return to our screens recently, as promised some 25 years after it left us, is providing insatiable totally addictive television. Rekindling our relationship with Kyle McLachlan’s FBI agent Dale Cooper, alongside the likes of Hawk, David Lynch himself as Gordon Cole, and even the now middle aged Bobby Briggs is a peculiar kind of nostalgia. It’s a nostalgia for the diverse eccentric townspeople, all of whom were caught up in the discovery and intrigue, as the town was devastated by the mysterious murder of teenager Laura Palmer, but it’s also a nostalgia for how groundbreaking, how totally insane and beautiful the series was. And whilst the new series is distinctly more urban, owing more to Lynch’s recent Inland Empire, what we’ve seen of the series is no less jaw dropping and alien in 2017 – albeit in a totally different way. Iconic American director, David Lynch’s masterful hand is behind both the old (season 1 and season 2) and the new series. What he managed to create those 25 years earlier was a highly stylised set of episodes that explored both the macabre misfortunes and menacing underbelly of a township seething with motley misgivings. Yet for Xiu Xiu the rework possibly seemed the most logical of transgressions. Band founder Jamie Stewart citing David Lynch as one of the biggest influences over his band’s formation. Stewart also admitting that in a sense the rework (completed by the band between 2012 and 2015) was purely to pay homage to David Lynch and the series. “We had the opportunity to play it and we owe a tremendous debt to the music and the series in terms of its inspiration to us (as a band), so we attempted to play it as well as we could – being ourselves.” He says speaking from his home in Los Angeles. The project originated from the band being commissioned by Queensland based cultural curators for GOMA, to complement and align the launch of The David Lynch retrospective exhibition. 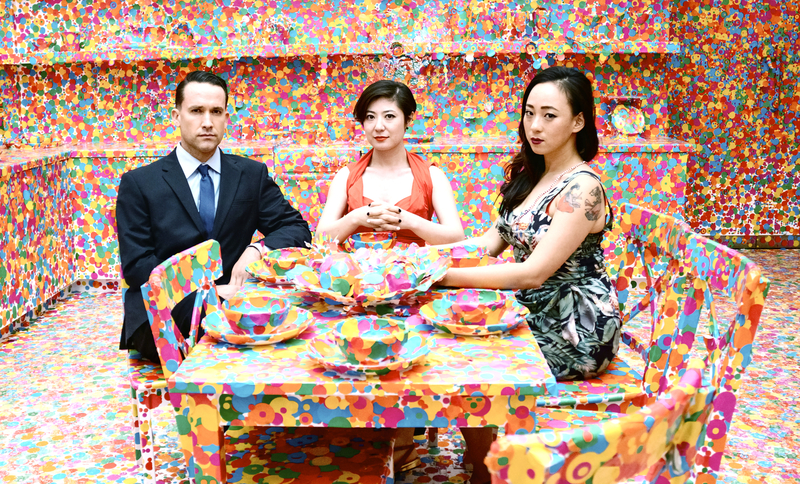 The band performed their take on the soundtrack tracks and now two years or so later, Xiu Xiu, return to Australia to perform in what can only be thought of as a perfect location to re-stage the tunes. Mona Fona in Hobart, Tasmania. Asking Stewart to recollect the process for making the rework he identifies the amount of work and challenge involved for the band, particularly in choosing to take on something so close to the band’s own DNA. Stewart claiming that what the band ultimately learned was that the music and series shaped whatever the sound of Xiu Xiu happened to be, so to try to put those two things together, was incredibly challenging.